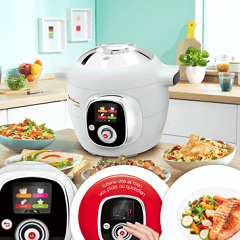 The Moulinex Cookeo is a robot cooking assistant, which cooks, steams, browns, re-heats and keeps warm. You can now get this clever little robot for free, for a chance to win the Moulinex Cookeo click “GET OFFER” and fill in your details and you will be entered into the competition. Good luck.